Who doesn’t love the good old Lipton Onion Soup Mix packet o’powder for some onion dip? I know I do! But as I was browsing through the Barefoot Contessa Cookbook, I saw a recipe for Pan Fried Onion Dip. Hmmmmm…could it be better than the powder? As I found out today, YES! 4 ounces room temperature cream cheese. 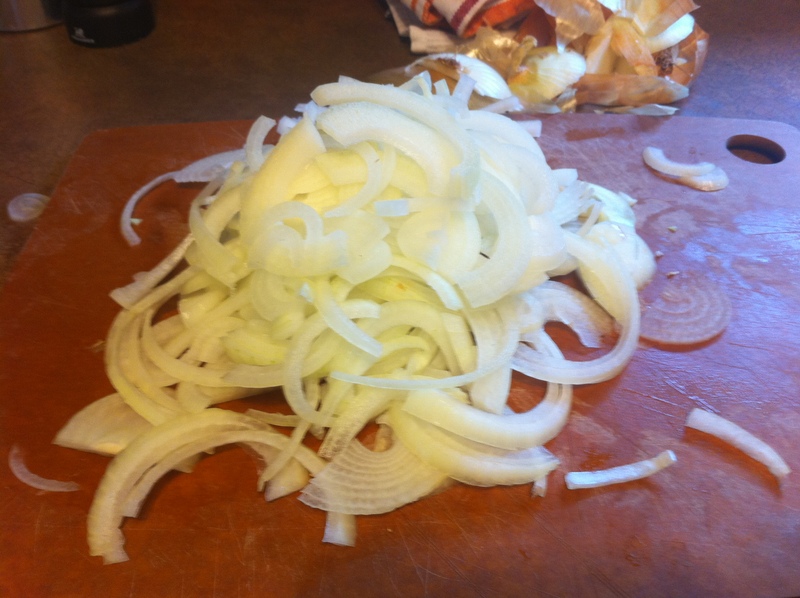 Cut the onions in half, peel off the outer skin, and slice them into thin half circles. 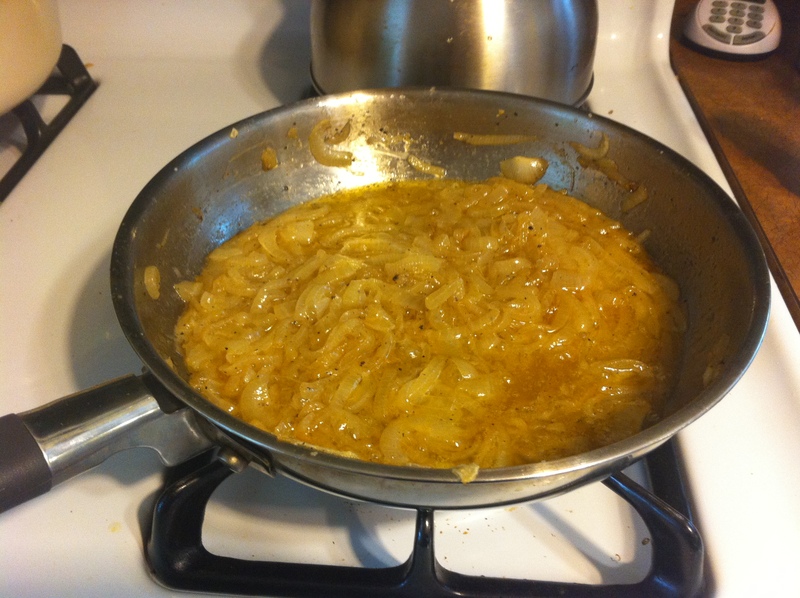 Heat the butter and oil in a large saute pan and add the onions, cayenne, salt, and pepper. Cook over medium heat for 10 minutes, stirring frequently. 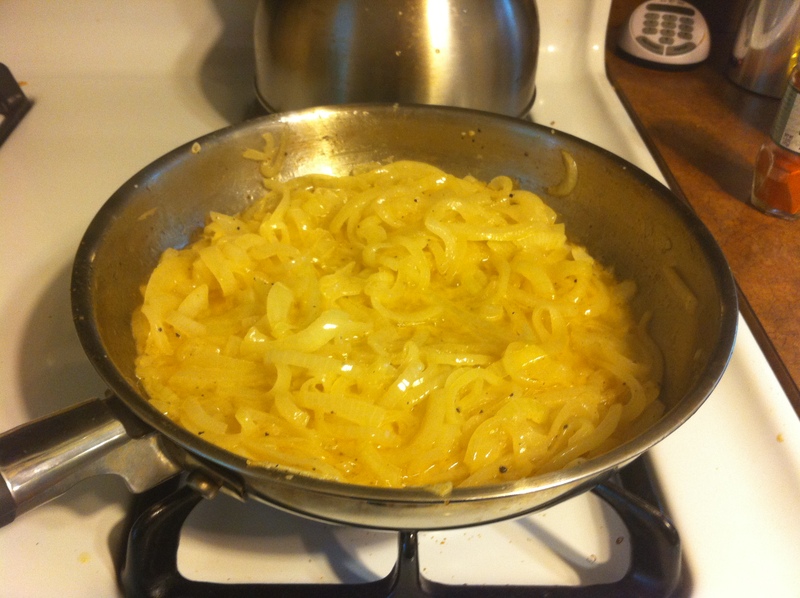 Lower the heat to low/medium and cook for another 20-25 minutes until the onions are browned and deeeelicious. Do not let them burn! Better to keep the heat a little low and let them cook longer. Burned onions = ruined dip. Let the onions cool for at least 15 or 20 minutes. Combine the cream cheese, sour cream and mayonnaise in a bowl and beat with an electric mixer until they’re smooth and combined. Strain then add the onions and mix well. Refrigerate for an hour and serve with chips. Receive praise. Side note: If your cream cheese isn’t softened enough, you can microwave it on 10-second increments for 20 seconds or so. Don’t let it cook!! Apologies for no picture of the finished product. I’ll try to give you a visual – it looked like onion dip. Next > Where’s Your Bra?